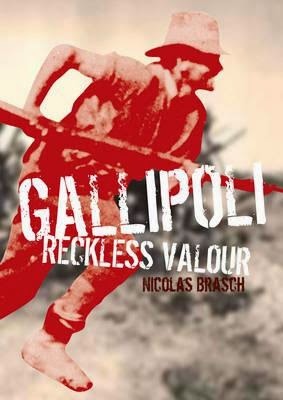 With an entirely unique approach to presenting the Gallipoli campaign, Nicholas Brasch has broken down the information into easy to understand divisions. He asks a question, and then answers it in comprehensive detail. This is a wonderful reference book for young readers, and others of any age who are looking to understand the main structure of why WW1 was declared, and what happened next. It explains in easy to follow fact boxes, the main points of how and why Australian soldiers were sent to Gallipoli, why so many died, and what the outcome of the campaign was. It also tells us why Anzac Day is commemorated on April 25. The contents are visual as well as informative. With photos and images from the Australian War Memorial, there are maps, posters and a glossary of terms for clarification. Other words highlighted within the text are also included in the glossary. Aaron Pegram from the Australian War Memorial has done a fact check of this book, which is beautifully designed with an excellent layout of information and visuals.